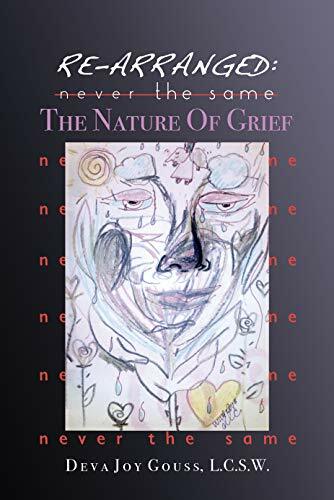 “Re-arranged, Never the Same: The Nature of Grief” is meant to be a guide and companion through the raw and heart-breaking times that occur with grief. With decades of experience in her field, the author imparts invaluable knowledge and insights that can help readers have an easier journey through their grief. With decades of experience in her field, Deva Joy Gouss, LCSW, imparts invaluable knowledge and insights that can help readers make their way in the journey of grief. She acknowledges the bitter and painful reality of losing a loved one and walks the reader through this difficult journey, in hopes that the bereaved might feel even just a little bit less alone. “Re-arranged, Never the Same” provides an extensive discussion of the different aspects and themes that arise during a person’s time of grief. The author examines various feelings and thought patterns that happen with loss while providing ways to awaken self-compassion and the courage needed for living with grief. As readers are guided to bring accpetance to any and all of the feelings that arrise in grief, the author introduces self-care exercises and tools that can be helpful as one navigates through grief and ultimately integrates the loss into one’s sense of self as they slowly move forward with their lives. This book also addresses the possibility of experiencing a connection to their departed loved ones. Included are other people’s narratives of the impact of loss and connection as well as communications that took place after departures of loved ones. “Re-arranged, Never the Same” will soon be on display during the Los Angeles Times Festival of Books. This grand literary celebration brings many book titles from different genre types together from April 13-14, 2019, at the University of Southern California. Save the date!